Here is the complete tutorial and step by step instructions on how to unlock LG Optimus L7 P705 by unlocking code so that you can use with any gsm carrier. 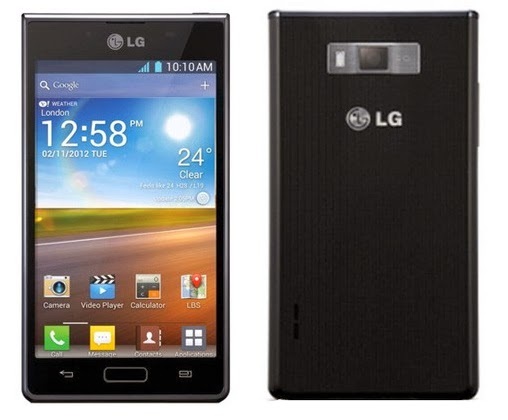 Codes2unlock.com is proud to announce that we are the direct source for Unlocking LG Optimus L7 P705. We provide a fast, easy and secure way to unlock with LOWEST PRICE GUARANTEED. After unlocking you can use it with any gsm network. *Note - If you have ever tried to unlock your LG device with any type of wrong or faulty code, please make sure your phone is not hard locked and there are enough attempts are remaining to enter the code. 1. Your IMEI number, which is always 15 or 17 digits long. you can find it by pressing *#06# on your phone or look at the sticker behind the battery of your phone. 2. Locked carrier of your phone and not the network you want to use. 1. LG Optimus L7 P705 Unlock Code. 2. LG Optimus L7 P705 Unlocking Instruction. Once your received your unlock code, simply follow the instructions given below and your phone will be free to use with any GSM network. 1. Insert a non accepted Sim card and power on the phone. 2. Phone will prompt for enter " Sim network unlock Pin"
3. Input the 16 digit unlock code given by us and press OK or Enter. 4. Your LG Optimus L7 P705 is now unlocked! After you have unlocked your phone, it is permanently unlocked and ready to use on any gsm carrier / network . Your phone is permanently unlocked even after firmware updates. If you are frequently travel abroad, use the local Sim card and save on roaming fees. Resell value of your LG device is increases as it available to more carriers. Easily switch between different Sim cards without changing your phone. Unlock your LG phone online from anywhere in just few minutes. No complicated software or technical knowledge needed. There is no risk of damage in unlocking of your LG Optimus L7 P705 by Code. Unlock your phone in just few steps with our easy to use unlocking instructions. Your phone's warranty is not voided by unlocking it. Copyright @ 2013 Codes2unlock.com. Awesome Inc. theme. Powered by Blogger.